CHD100026 Luxury house for sale with private pool and large garden..
C8MG100026 A house two storey for sale with 6 bedrooms,4 toilets. CDK100002 - A detached house two storey for sale with 3 bedrooms and 4 toilets. CSP100006 House for sale with 8 bedrooms and 11 bathrooms. CSP100016 - A detached house for sale with 3 bedrooms and 4 toilets. CMR100028 A house for sale with 3 bedrooms and 3 toilets. 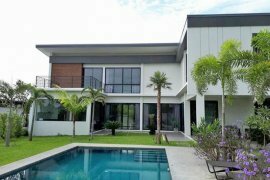 C5MG100041 -A Pool Villa two storey for sale with 4 bedrooms,5 toilets. C5MG100033 A detached house with 8 bedroom and 6 toilet. C2MG100011 Luxury house for sale with private pool..
C4MG100021 Detached house for sale with 6 bedrooms and 5 bathrooms.